The Port of Runavík prepares what is to become by far the largest harbor development project ever to be carried out in the Faroe Islands — a 500,000 square meter oil supply base and a 200,000m2 container storage area. The Port of Runavík has advanced plans to create a 124.6-acre (500,000m2) offshore supply base along with a large container dock. Considering the normal scale of things in the Faroe Islands, this is a gigantic plan that would catapult the area — indeed the whole country — into an entirely new reality. It would imply, for one thing, a significant presence of the oil and gas industry in the islands. 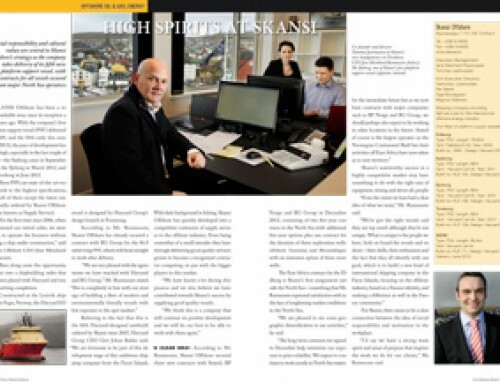 For another, it would position the Port of Runavík squarely as the Faroes’ undisputed hub for the offshore business. 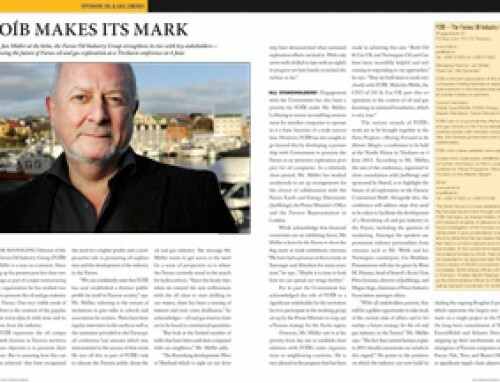 “We have served as the oil industry’s port of call in connection with all exploration wells to date in the Faroes,” said harbor director Tórbjørn Jacobsen, who is also the deputy mayor of Runavík. 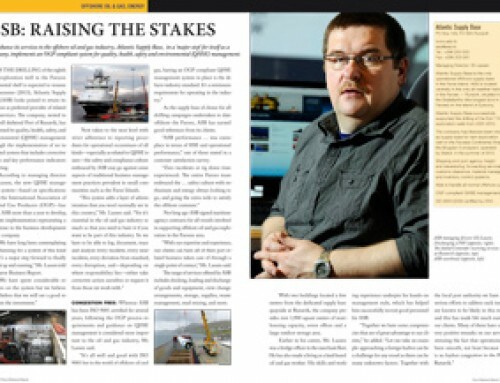 “I believe we are fit for that purpose as things stand now but once a commercially viable discovery has been made, the needs and requirements of offshore operations will grow dramatically. We have reason to assume that such a discovery is plausible although nobody can say whether it will happen within 10 months or in 10 years. 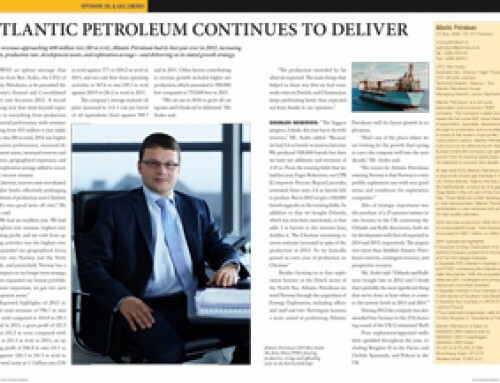 In response to considerations of a commercial oil and gas discovery in the near or distant future, a draft development plan has been worked out for the Port of Runavík in liaison with a leading northern European engineering consultancy. In the plan, half a million square meters are to be dedicated to a new oil supply base in addition to 200,000 m2 for a container harbor in the same vicinity north of the Skála shipyard. “The development draft is to be tabled in the Council soon so hopefully we have a decision before long,” Mr. Jacobsen added. 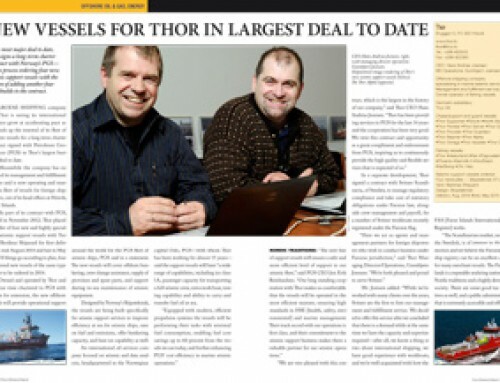 More vessels calling: Runavík’s vision may have seemed far-fetched a few years back. Today, however, the rocks under the seabed of the Faroe-Shetland Basin are widely believed to contain hydrocarbons in large quantities. Work to pinpoint the exact locations to drill in order to find and subsequently extract the reserves from the deep beneath the ocean floor has previously been hindered by a hostile natural environment as well as uncertainties at the political level as far as concerns the location of the UK/Faroe border. With the latest technological leaps forward and the old border dispute resolved, however, things are starting to look different. The neighboring West of Shetland area, which is generally considered rough compared to the North Sea, has had three major discoveries since 1977 yet many years passed before field development and production finally began. Exploration in Faroese territory, meanwhile, has only been taking place since 2001. The traditional reluctance of oil companies to get involved in the Atlantic Margin including the Faroes may and should indeed be receding, at least on account of technical challenges posed by anything from weather and ocean conditions to the thick layers of basalt rock under which the hydrocarbons are known to reside. “Things are more than ever up to ourselves nowadays,” Mr. Jacobsen said. “So we want to provide the framework of an infrastructure for the oil industry that will be needed once activities kick into high gear. Ship traffic, meanwhile, has been increasing again in the last three years after dropping in 2006, 2008 and 2009. 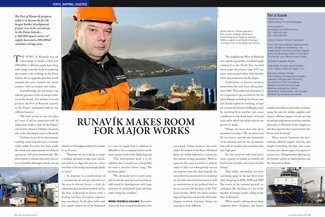 The source of the renewed growth, according to Mr. Jacobsen, is a rise in the number of foreign vessels calling at the Port of Runavík. Three sectors dominate the port: seafood, offshore support services, and freight forwarding. Another one, cruise tourism, has shown signs of progress in recent years. Of importance likewise are the bunker station at Søldarfjørður and the shipyard at Skála.